Another day, another fab blog tour to share with you all. 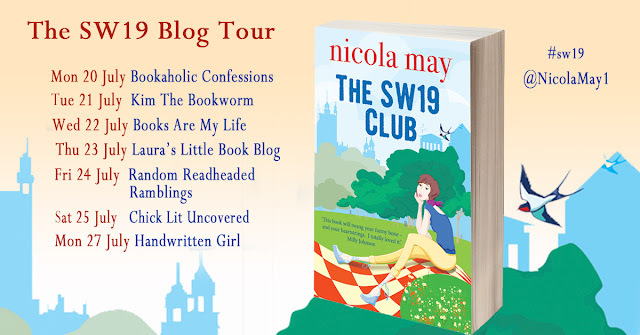 This time I am sharing my interview with Nicola May, author of The SW19 Club. As Always all the stops on the tour are listed below, so check out their awesome blogs for some other great content. 1. 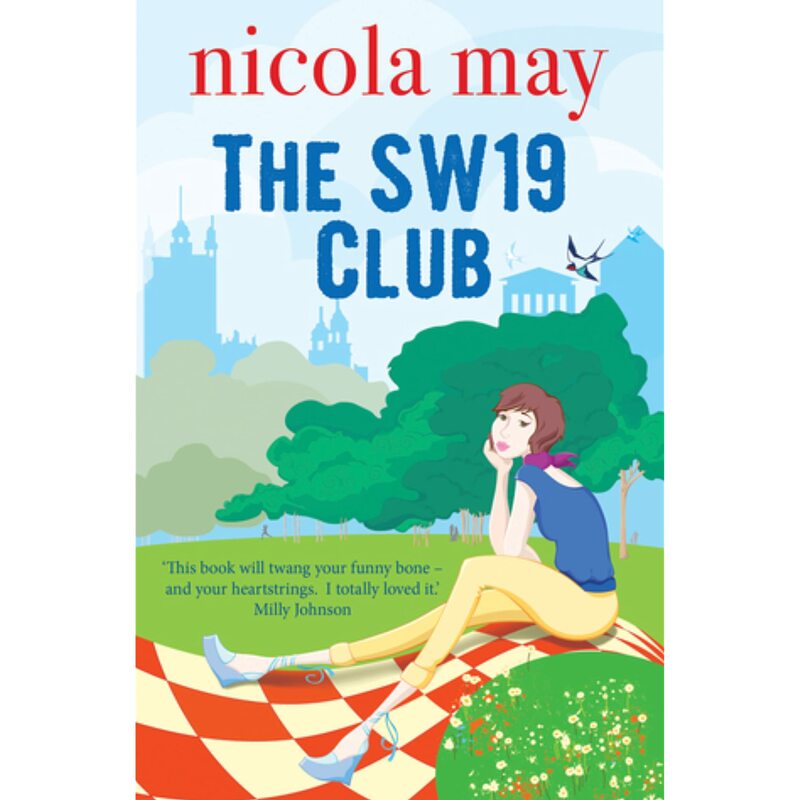 Can you tell us about your new novel, The SW19 Club and the inspiration behind the story? 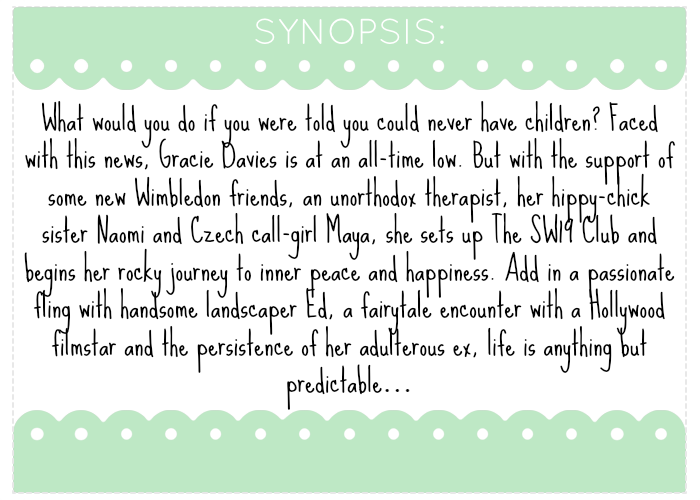 The SW19 Club is a romantic comedy full of love, life lessons, hope and triumph over adversity. The story sees heroine Gracie Davies faced with the news she can no longer have children. Feeling at an all time low, she decides to set up The SW19 Club where women in similar situations can chat openly about the unspoken issues of fertility in a supportive and fun environment. The inspiration is a sad one I’m afraid. I wrote it following the tragic loss of my IVF twins during pregnancy and subsequent hysterectomy. 2. This story deals with quite a tough subject, were there any parts of the story that you found hard to write? Being honest I found a lot of it hard to write. I had to face my own demons with regards to no longer being able to have children. I cried many times to be honest, but it was also very cathartic. I hope that because I wrote it directly from the heart, with both honesty and compassion, it will help a lot of women out there who are going through the same heartbreaking experience. 3. What type of writer would you say you are? Do you have a specific writing style? I am a sporadic writer. Once I get going with a story I just write and write for hours. I like to keep my chapters short and sharp and always try and end each one with a mini cliff hanger so that the reader wants to keep turning the pages. 4. did you enjoy most about writing The SW19 Club? I like the eclectic mix of characters in this novel. There is the softness of Gracie going through such inner turmoil but also the edgy young Maya, who prostitutes herself to try and make a better life for herself. I adore Professor Princeton who is quite dark and eccentric, but also has his own relationship turmoil. I also really enjoyed writing Gracie’s love interests. I mean who doesn’t want to be whisked off in a private jet to a luxury hotel in Barcelona by a Hollywood film star? 5. Did you have any say in the cover? Do you like it? I absolutely adore the cover! And yes, I did have some say in how it would look. The fact that Milly Johnson provided my cover quote is the icing on the cake! 6. Who would you say are the authors that inspire you? 7.What are you currently reading? Being honest with you I am so busy promoting The SW19 Club and writing my next one I haven’t got time for reading. However Patrick Gale’s A Place called Winter is currently on my bedside table ready to read. 8.What are you working on now? My new novel is based around an online dating app. Where recently jilted Lotty, with hardly any experience of men puts herself out there and finds herself in a whole new crazy world of finding love.